You’ve got to love delivery day when you’re working at a record store. 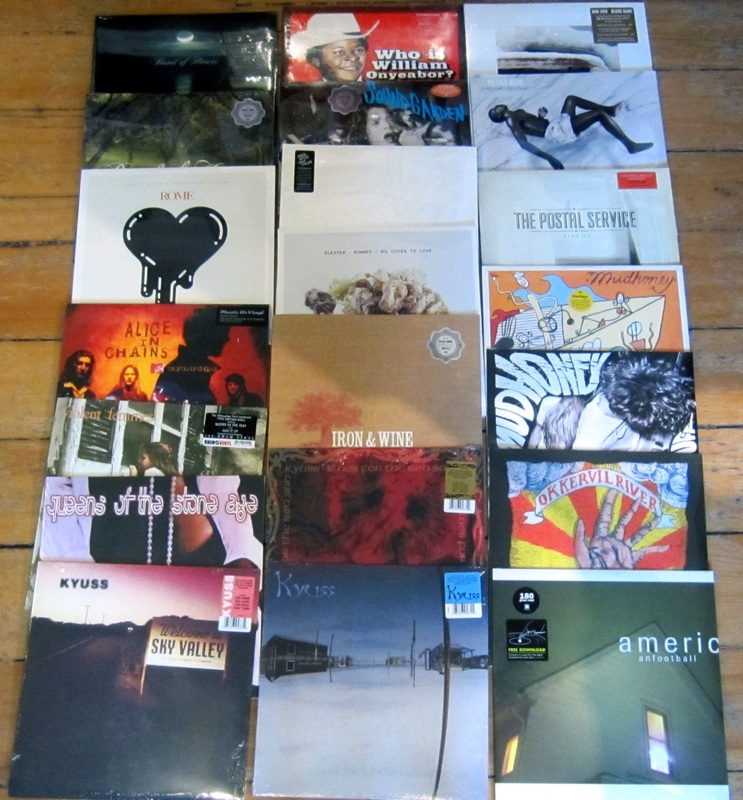 Today we received some sweet new releases (I am so stoked for the 10th anniversary Okkervil River release), lots of restocks (Adele is back in) and lots of additions to the new vinyl selection here. Warner kinda messed everyone up with a monster price increase on some key titles (over 600), but now since we won’t stock those anymore at the new (ridiculous) prices we have room for other great albums at great prices. We do have several of the Warner releases still available at the old price, so get down here soon and grab them before they are gone! 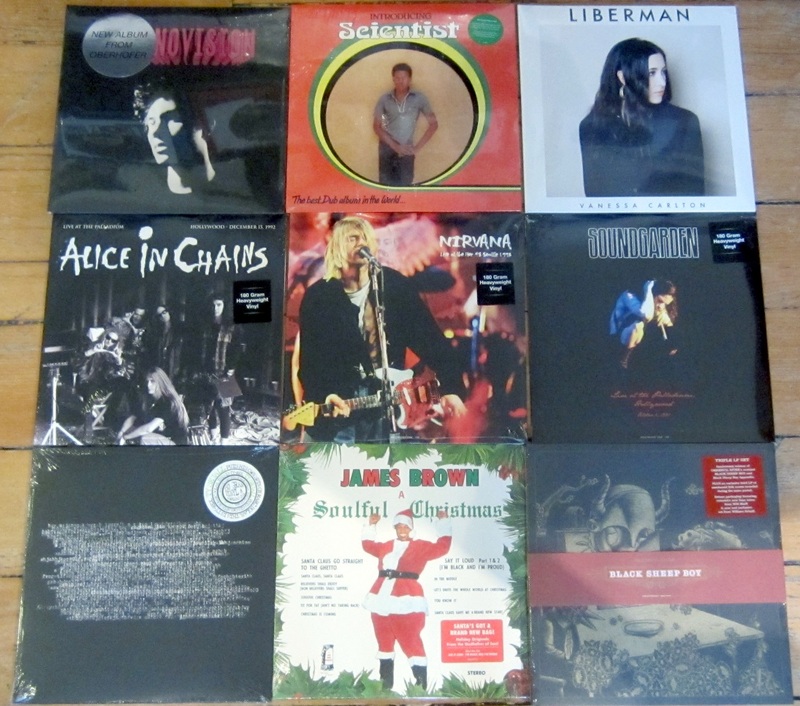 Here is what has been added to fill up the new vinyl browser here at Backbeat Books and Music, and after you check the pics out, keep scrolling to get the details on all the recent releases we are featuring this week. Memories can be inspiring or stifling, alluring or ugly, wistful, joyous or flat. But what if they all come rushing back in a moment of quiet? You’re in headphones, zoned out, and your entire life flashes before your eyes, floods your ears, sounds like a screaming orchestra, feels like a bounding sack of lead, and looks like an unholy filmic mashup of David Cronenberg and Ken Burns. This is “chronovision,” a high-concentration dose of pure memory. And on the album of the same newly minted name, Brad Oberhofer distills his own total recall into beautiful, bittersweet song. Hopeton Brown, better known as Scientist, has been a pioneering figure in the world of dub for nearly 40 years. His early love of electronics proved fruitful when (still a teenager) he was hired at King Tubby’s studio in Kingston. Brown quickly ascended the ranks and became heir to Tubby’s throne, producing imaginative and technically impressive mixes that solidified his forward-looking nickname. Introducing Scientist – The Best Dub Album in the World, his 1980 debut LP, lives up to its boastful title. Recorded with Sly & Robbie at Channel One Studio and mixed at King Tubby’s, the album features hypnotic basslines, reverb-drenched keyboards, and fluid, start-stop rhythms. Opening track “Steppers,” with its well-balanced phrasing and organic contours, shows Scientist’s mastery of the studio-as-instrument concept. On “Scientific,” the effects-laden guitars are stretched to their outer limit to create magnificent, spaced-out textures and muted tension. Introducing Scientist displays the talents of a man obsessed with every element of production, drawing out the very best of the dub form. The Ty Rex corner of Ty Segall’s oeuvre represents the nom-de-rock behind which the artist puts his spin on favored Tyrannosaurus Rex and T. Rex compositions. With previous releases now dwelling in out-of-print nether-regions, the album compiles the six-song Ty Rex EP (a.k.a. Ty Rex I, originally released by Goner as a limited edition 12-inch for Record Store Day 2011) and the two-song Ty Rex II 7-inch (RSD 2013). As if this wasn’t enough of a corrective gesture, Ty Rex is expanded to include a previously-unreleased cover as a bonus—but first… For those who missed out on this nook of Segall’s rapidly-growing footprint across the rock landscape, here is a cursory rundown: The compilation showcases a nice balance between T. Rex’s ’67-70 psych-folk incarnation under the name Tyrannosaurus Rex and the better-known pioneering and perfecting of glam-rock that defined the initial ’71-73 era under the shortened T. Rex moniker. Kicking things off is the thick, woozily rocking interpretation of “Fist Heart Mighty Dawn Dart,” one of two covers pulled from Tyrannosaurus Rex’s fourth and best album, 1970’s A Beard of Stars. Segall then double-dips into the consummate T. Rex (and for that matter, the entire glam-rock movement) achievement, The Slider, with a rendition of “Buick MacKane” followed by an excellent dirtying-up of the title track. Clearly executed with the ear and understanding of a super-fan, next up is Segall’s awesome tackling of “Woodland Rock” an Electric Warrior outtake that also surfaced on the B-side to 1971’s non-album “Hot Love” single. Returning to Tyrannosaurus Rex fare for the two tracks that originally concluded the Ty Rex I EP, “Salamanda Palaganda” originates from 1968’s Prophets, Seers & Sages: The Angels of the Ages and “Elemental Child” from A Beard of Stars. “Cat Black” (from Tyrannosaurus Rex’s 1969 album, Unicorn) and Electric Warrior’s closing song “The Motivator” follow, before wrapping up this compilation of Ty-Rex material is the aforementioned previously unreleased bonus track, Segall’s cover of “20th Century Boy” (a non-album T. Rex single from 1973). We also received a few interesting bootlegs. That’s it for now. Thanks for checking in, now go listen to some records or read a book or both. Hey, if you made this far down the post, congrats! 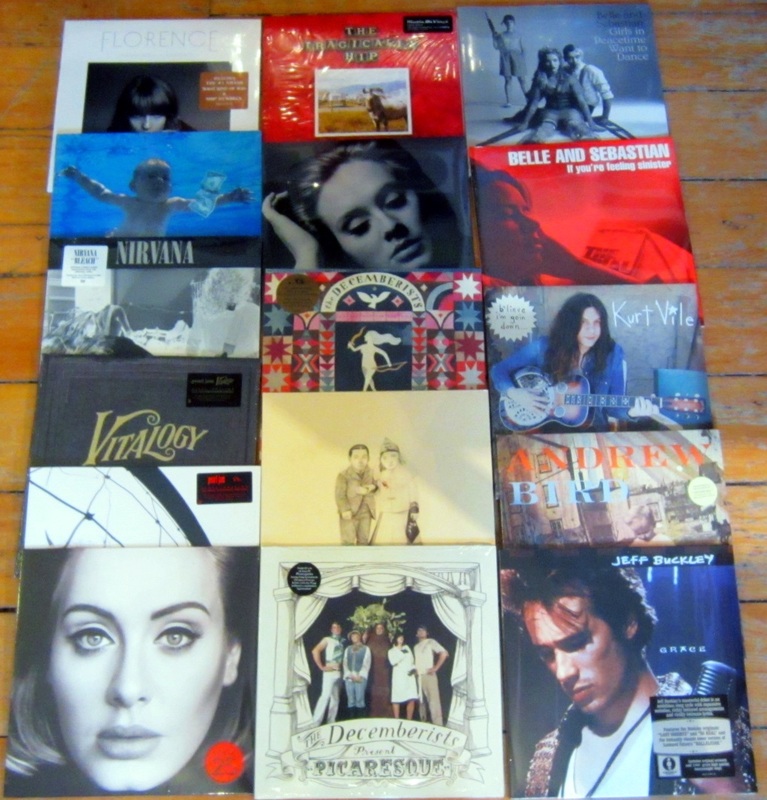 How would you like to see the selection of vinyl more than double at Backbeat? We thought you might. Stay tuned.